Recently, Magistrate Margaret Gilmour, wrote a letter to The Times from her perspective as a Magistrate for over thirty years. In that letter, she made some criticisms of the Crown Prosecution Service, which were in direct contradiction to the more rosy picture painted by the Director of Public Prosecutions. In that letter, the Magistrate said that, “Anyone who goes into a Magistrates Court on any day, will see that the Crown Prosecution Service is in a state of disarray”, she also went on to observe in her court “shambolic administration” on behalf of the Crown Prosecution Service. It seems that the criticism made of Margaret Gilmour was not only that she put into the public domain her concerns and observations gleaned from thirty years’ experience, but that she also seemed to imply that she was speaking for other Magistrates. A reading of her letter is instructive and although she refers to some generalities, it is plain that she is writing from her own perspective. Never the less, the matter seems to have irked the powers that be. Much has changed since those Enid Blyton days of the Kilmuir Rules, which effectively gagged the judiciary. These rules revoked in 1987, stated ‘so long as a judge keeps silent, his reputation for wisdom and impartiality remains unassailable.’ (Letter from Lord Kilmuir to Sir Ian Jacob KBE: 12th December, 1955). We now live in a society drastically different from this time where inherent respect for the ‘Establishment’ and ‘Leadership’ is not to be taken for granted. Furthermore, the 21st Century brings with it a demand from society, not only for accessibility but for accountability. Other matters have significantly changed as well, including the increasing trends both for politicians and for those holding government office, including other positions such as the DPP, to use and utilise the media professionally and effectively. Of course there is nothing wrong with this, the CPS and the DPP are to their credit, effective operators when it comes to getting their version of events into the press and into the media and therefore in the public mind. Consequently, both the judiciary and this includes magistrates, must also be able to speak and utilise the media and other public forums to present their important perspectives, particularly if they contradict or undermine that being presented by government or other official bodies. Although the Kilmuir Rules were rescinded in 1987, there remained and still remains a tendency, most recently displayed by the ‘Gilmour Incident’ to baton down on judicial public opinion. Effectively, the JCIO has sanctioned this magistrate, not only for speaking out but also it seems, for contradicting an official line. Indeed, relatively recently, Lord Neuberger stated in a speech to law students at Birmingham University in March 2012, that Judges were too eager to speak out and make their views known. He used as a high water mark Lord Justice Stanley Burnton, who appeared on an episode of Masterchef to discuss his culinary tastes (BBC One, 22nd February, 2012). It is trite to observe that whenever a judge or a magistrate or for that matter, any tribunal of law, makes a public statement, that it should be balanced, articulate and well sourced. But provided that this is so, 21st Century communication requires a significant loosening of the straight jacket. The present debate about the Human Rights Act, as opposed to a Bill of Rights, is a case on point concerning serious constitutional issues. There has already been much written and spoken by the senior judiciary including, Lord Neuberger and the previous Lord Chief Justice, Lord Judge. This has been both informative and absolutely vital to counter point, balance and if necessary, contradict the numerous positions being put forward by politicians who are of course adept at using the press and media opportunity. Furthermore, government and politicians are becoming more and more enthusiastic in their criticisms of the legal system, the law and indeed, the judiciary. Gone again are the days when politicians were deferential to the judiciary, and rightly so. But judicial reticence to speak out when it is in the public interest, is very much a creature of those more deferential days and there is a need now for a balance in public argument which can only be achieved by a rethink of the attitude towards judicial public pronouncement. It should be said that the contribution of the judiciary, judges or magistrates, can also provide an important educational function. It would be very worrying indeed, if the general public believed everything they were told by either the press or politicians about what goes on in our courtrooms. 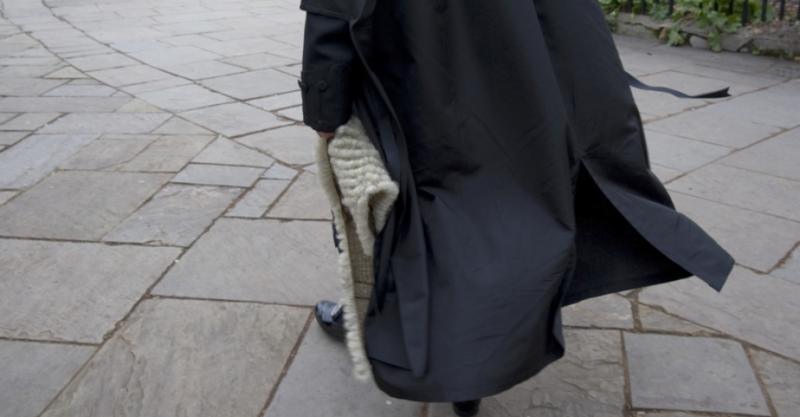 The Margaret Gilmour affair serves to remind us that we still have a long way to go when it comes to public debate in which our wider judiciary and magistrates can provide important perspectives and that for many the attitude of the JCIO towards this magistrate is harking back to those grey and austere days of Lord Kilmuir, when it was not even conceived in the way he wrote that a judge could even be a woman.